Lowell Smoke’s packaging design is, to put it bluntly, superb. The 1/8 and 1/4 oz. options are divided between 7 and 14 pre-rolls, respectively, that are alternately packed tightly into a sturdy, naturally sourced box. Plus, have you ever forgotten about a lighter? Or lost it during a long session? Well, Lowell’s Smokes thought of you and added matches, along with a strike pad. On top of the pre-roll organization, the labeling itself contains everything you need to know in a clear, concise manner. Depending on the high you desire, Lowell Smoke’s clearly states the strains, and quantities, that went into each well thought Sativa, Hybrid, or Indica pre-roll blends. Oh, and if all of that wasn’t enough, the pre-rolls all contain organic, pesticide free, 22-25% THC flower that will put you up in the cloud. The sensation of opening a present parallels the opening of Lowell Smokes pre-rolls. Island keeps things simple, vibrant, old school, and Miami Vice-esque with their “Island Premiums” pre-rolls. The logo catches your eye, but is rather simplistic at the end of the day, much like the idea behind the cigarette style pre-roll. However, unlike a cigarette carton that opens from the top, Island Premiums fold open, revealing 6 pre-rolls, wrapped in plastic, weighing in at 4.5 g total. The pre-rolls themselves do not contain a typical joint crutch, but rather a “biodegradable filter” inside a hemp tube. Island is arguably the most refreshing of those attempting to replicate cigarettes, both in terms of design and execution. Island produces THC and CBD varieties, as well as “Mini’s” for that quick sesh. 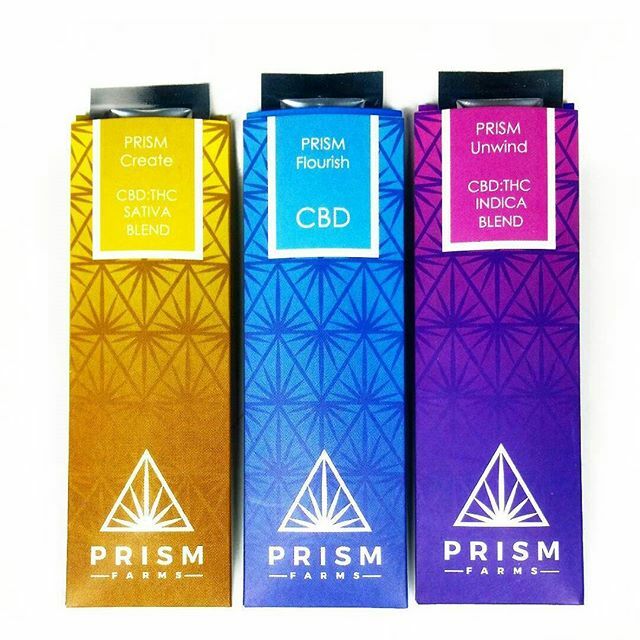 Prism takes a different approach to cannabis than the typical pre-roll company, with more of a focus on CBD content and mellow high, compared to the majority of companies typically focused on THC content. Prism offers 5 different blends of 1-gram pre-rolls that are tailored for a specific desired outcome so that the consumer knows what to expect before smoking. While to experienced stoners this may seem trivial, Prism is focusing more on bridging the gap between new or uneducated individuals with the glorious world of cannabinoids. The packaging is simplistic, with basic line designs, with the pre-rolls individually wrapped inside. If you enjoy CBD, or are unfamiliar with the benefits of CBD/cannabis in general, then Prism has you covered. Nativ, based in Venice, CA, is probably best known for their mind numbing bubble hash, but has made a name for themselves in the pre-roll market too. Each batch of ice water hash is uniquely produced and processed, rather than formulas. As certain strains/crops/individual buds will all behave with different degrees of variability, resulting in delicious, artisan bubble hash. If you are a hash fanatic and experienced stoner, the Black Label, with private reserve cannabis and hash, inside a modern, simplistic doob tube with a corked end, is for you. The combination of top shelf flower, combined with some of the best bubble hash, creates one of the danker flavor profiles and slow burning embers that a pre-roll can express. If the Black Label is out of your price range, or if your looking for something with less THC, the Grey Label (regular flower with hash) or White Label (regular flower) pre-rolls look just as appetizing.